A thin crispy crust, rich tomato sauce, melted mozzarella and fresh basil are encapsulated in a crunchy mouthful! 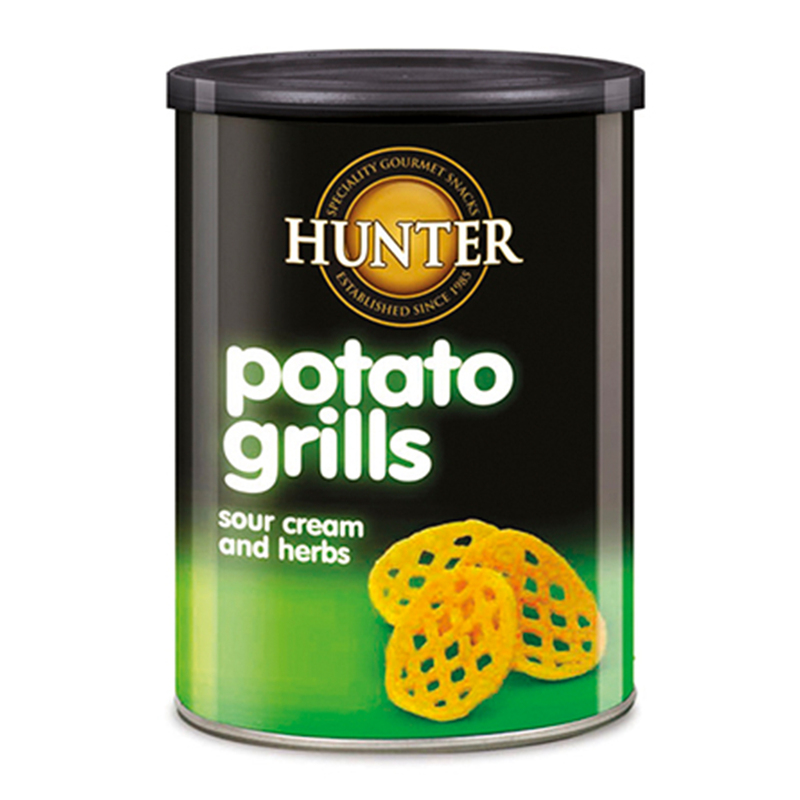 Our Margherita Pizza Potato Grills are full of the flavours of this Italian classic. 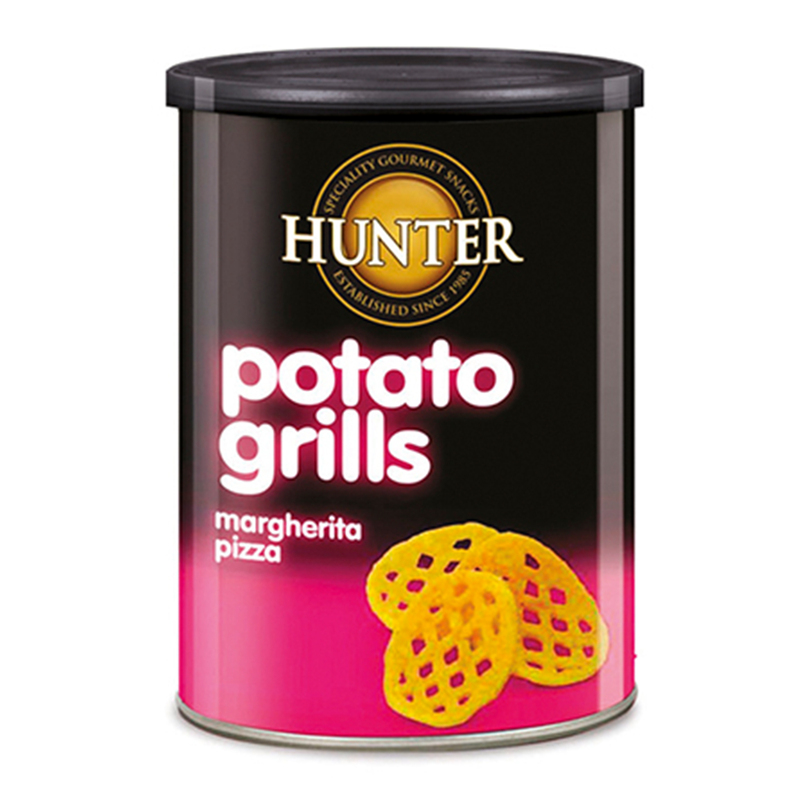 Hunter Potato Grills – Margherita Pizza (100gm) 100gm Canisters. Potato Chips, Non GMO, No Preservatives, No Artificial Flavours, No Artificial Colours, Vegan, No Transfat, No Cholesterol, Halal. 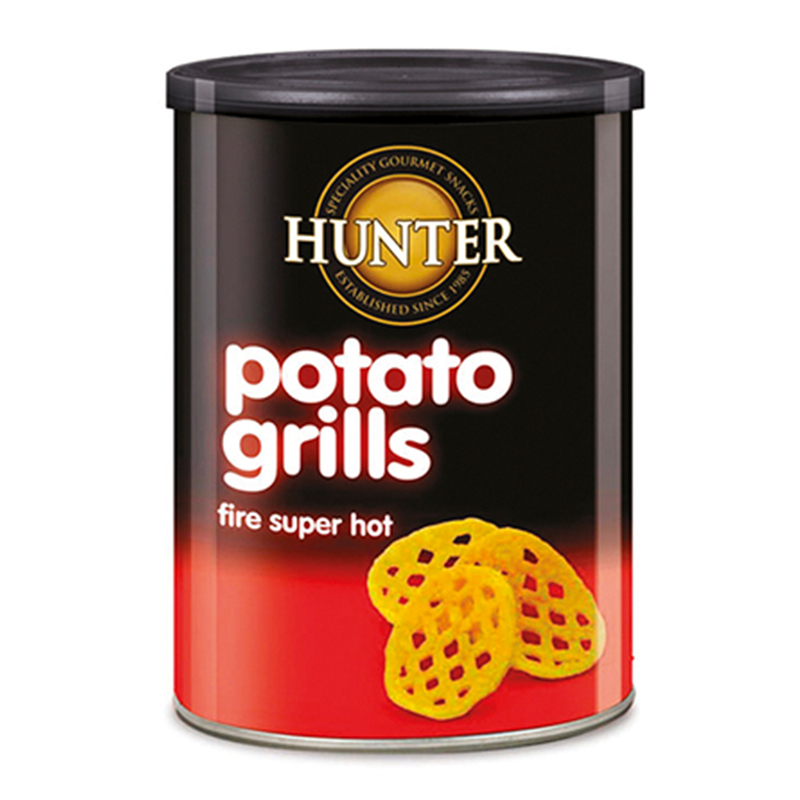 Potato granules, rice flour, vegetable palm olein oil, modified starch, hydrolyzed vegetable protein, turmeric, yeast extract, margherita pizza flavour: (maltodextrin, wheat flour, salt, sugar, tomato powder, spices, flavour enhancer (E621), acidity regulator (E262), anti- caking agent (E551), natural colour (E160c). this is like a dream: they are vegan and halal, what else!